THE Government has offered more than 1,500 housing units for sale to former Zambia Forestry and Forest Industries Corporation (ZAFFICO) who occupy them. Lands Minister Jean Kapata, who announced the development yesterday, also warned the Ndola City Council that it risked losing powers to allocate land on behalf of the Government if it allowed the continued encroachment on land belonging to ZAFFICO. 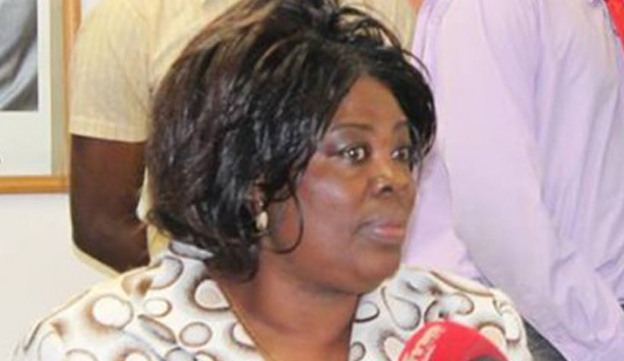 Lands Minister Jean Kapata said the offer of the houses was a reaffirmation of an earlier one made the MMD government for institutional houses to be sold to sitting tenants. Ms Kapata said the 1,503 housing units would be sold to sitting tenants in Ichimpe, Chati and Kafubu ZAFFICO stations in Kalulushi and Kitwe. She warned however, that she would not allow the sitting tenants to ask for farmland, because the land belonged to ZAFFICO for its plantantions. “A policy was passed by the previous Government to sell the houses to sitting tenants and as the Patriotic Front (PF) Government we have to deal with this matter and relinquish those houses to the sitting tenants. We want to empower our people with houses and give them titles” she said. Ms Kapata said after touring the four ZAFFICO plantations that the ministry had a department that would evaluate and come up with the price of the houses given to the former employees. On the continued encroachment, Ms Kapata said she would not hesitate to revoke their license if the local authority persisted to operate outside the law and what was stipulated in the Memorandum of Understanding between the ministry of Lands and the council. “I want to warn NCC, which is busy encroaching on the ZAFFICO forest, I keep saying that even the PF cadres, especially those from Ndola, are involved, that I will not hesitate, as a minister, to revoke their agency if they continue to operate outside the law. Let them abide by the law and if not, as a ministry, we will have no choice, but to revoke the agency until they put their house in order,” she warned. Ms Kapata has also given a 90-day ultimatum to squatters who had encroached on forest land, countrywide to vacate and get back to their respective places. She said she would not allow people encroaching on forest land and that whoever would be found wanting would face the law. Kalulushi Central Member of Parliament Mulenga Kampamba commended the Government for helping to resolve the issue surrounding the plight of the sitting tenants. She hoped that the resolutions that had been made would be followed by the leaders at local level. “As a Member of Parliament I am so delighted that finally our people have been given the houses. This issue has been dragging for a long time and I am grateful that the minister has come and finally resolved the issue,” Ms Kampamba, who is Information and Broadcasting Services Minister said. And one of the beneficiaries Harrison Malunga who is also Ichimpe Councilor, said it was an honor that the Government had implemented the pronouncement, which was made by the previous government. Mr Malunga said the residents were delighted that finally they had their own homes after the pronouncement was made. He said for one to be proud of being Zambian, they needed to have a place of their own and commended the Government for the gesture. Mr Malunga, however, urged his fellow beneficiaries not to sell the houses given to them, but guard them jealously. “We are happy today as residents for the gesture. The pronouncement to sell the houses to us the sitting tenants was made by former Republican President Rupiah Banda and we are happy that finally this has been implemented by this Government,” he said.